A different form of parachute. This idea is by no means original or novel. 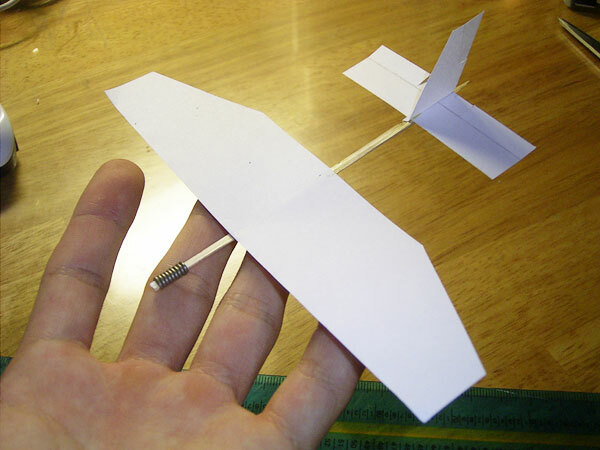 I was browsing a couple of websites in 2004 for a school physics airplane project and I came across several websites describing this curious idea of using a circling glider as a decelerator. I believe some websites called this concept a sort of samara decelerator or parachute; but what is a samara? A Samara is a type of fruit which has a wing, or wings, allowing it to be carried by the wind and / or spiral to the ground away from the parent tree. I found this a confusing name to use for this particular concept, so I'll call it the Circling Glider Decelerator instead. The basic idea of this decelerator is similar to that of a parachute - to slow objects down in uses such as payload deployments. 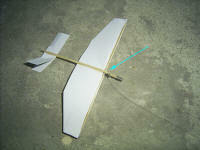 A small but strong glider is connected to a package (to be dropped) via a strong, thin line. The glider then flies in a continuous circle above the load. The mass of the load increases force on the glider, causing it to fly faster, yet when flying faster, the glider generates a a larger amount of lift. This translates to a drag force akin to a parachute, decelerating the load and decreasing its terminal velocity. As the glider circles the load quickly, the path of the glider traces out a ring surface area, which is effectively the surface area generating the braking force for slowing down the load. This has some advantages when compared to parachutes: Not only does it use a lot less strings (hence less chance for entanglement to take place), the effective decelerator itself quite small and compact (only requiring a small but tough glider, which can be easily constructed), hence allowing for cost-effective missions where equipment or supplies must be air-dropped in large quantities. So far, everything seemed to look good on paper, but would it actually work in practice? In order to test this interesting concept, I began by constructing a small glider out of some bamboo skewers and normal 70gsm printing paper. 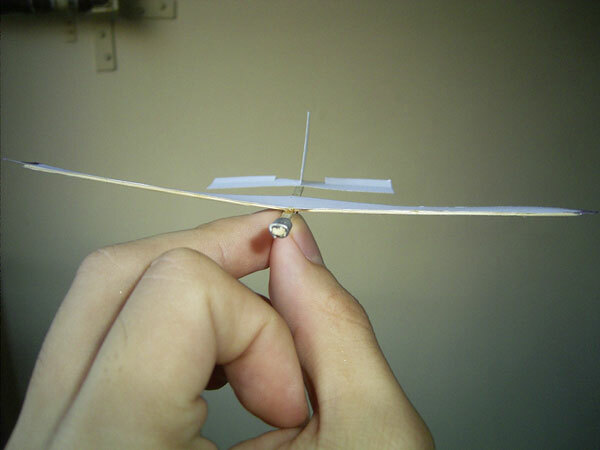 The idea was to create a small, relatively high-yield, yet strong glider, then attaching it to a load via fishing line before dropping it from a height. 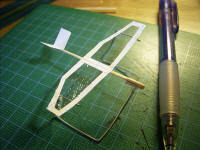 The glider measures 120mm long, with a 160mm main wingspan (37mm chord) and is weighted by a bit of solder wire. 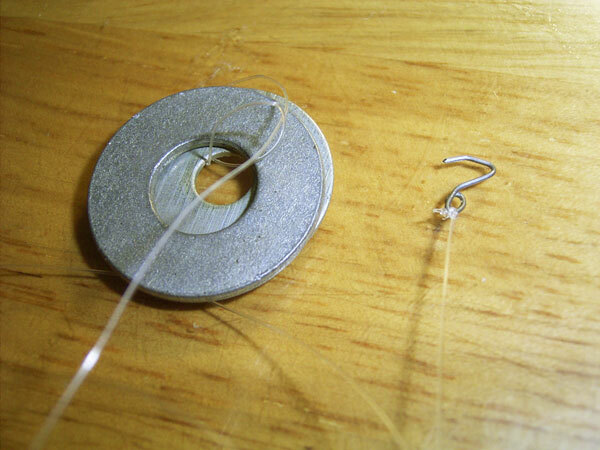 The load comprises of two 1 inch washers (though one is substantially heavier; I need a small balance to weigh these) and is attached to a 73cm nylon fishing line (length chosen randomly). 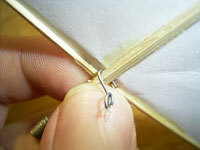 This line is attached to the glider by a little metal hook, which hooks on the mainframe just under the wing. 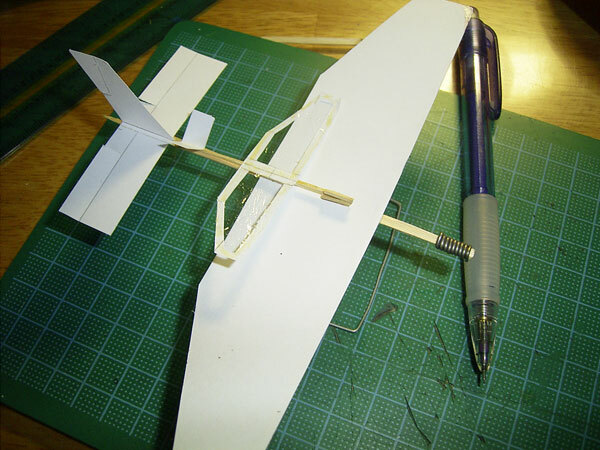 Just for fun (and for even smaller scaled tests), I constructed a micro-glider measuring just 55mm long with a 65mm wingspan (17mm max chord). It weighs almost nothing (I used cling wrap glued on a paper frame for even lighter wings). This prototype will be called dragonfly-1 since it has dragonfly-like wings! And yes it actually flies, but performance is unstable due to the nature of the wings - not very stiff. It uses a little bit of a bamboo skewer as a weight. I tested out the 160mm glider with the weight, but a drop from roughly 4 metres was insufficient to cause it to rotate. I needed to drop it from a higher place, so I went up an apartment building for some tests. Above are photographs of the glider just before her first high-altitude flight from 11 stories. Notice the slight dihedral built into the wings. The wingtips are coated with nail-polish (nitrocellulose), which stiffens it and protects the delicate wingtips. Nail polish dries fast and looks nice. For the first test, only the lighter washer (estimated about 5 grams) was used. No video was taken but surprisingly, the glider was able to glide quite noticeably with the weight, albeit very unstable. The glider eventually went into some semblance of a spin, though I wouldn't consider it to be one. The glider was retrieved and then released again, but this time from a height of 15 stories. Another thicker washer was added to the load, bringing the total load mass to about 15g. This time, the glider quickly went into a full spin with very beautiful results - the experiment succeeded. No video was taken. The next few tests were conducted at several different locations from the apartment building (had to shift location due to noisy barking dogs from the people there!) at different heights. Click to download video1.wmv, a 401kb video of one of the last few tests conducted from the 25th story. I had no one to help me film its descent, so I had to (1) release the glider, (2) hope it wouldn't hit the building, (3) take out my camera, (4) zoom (only 3x) and (5) start recording, all by myself! I have no idea how far down this one was but you can see the decelerator clearly circling in action. Several more tests were conducted with pleasing results. For one test, I got someone to help me throw the glider while I stood below to (attempt to) film it. Unfortunately, the video turned out to be not useful because the glider was almost indiscernible from the yellow/white colour of the building (though visible with the eye), and it hit the building when it was still about 1/3 the way to the ground. After about a dozen flights, the circling glider crashed hard into the side of the building due to a sudden wind, causing the body to break (see picture). More experiments to come when a new stronger glider is constructed. Interestingly, it was noted that the rear stabilizers always seemed quite distorted after each flight. Perhaps it wasn't stiff enough, but the movement of the plane might have caused some undesirable forces on the rear stabilizer. The flimsy tail didn't seem of much use, though this has yet to be determined. This video is a merely one of the flights taken by the glider and cannot be representative of the actual performance. 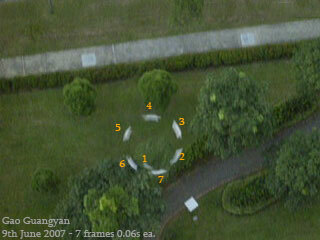 I captured 7 video frames (I want a HD camera!) and overlaid them on the computer. They show the flight of the glider. Clearly there is some drift (due to lateral motion by wind) but we'll ignore that and assume it's mostly circular. Glider is circling anti-clockwise from the top. Let us examine the area traced by the glider. On the computer it appears to be a 63 pixel circle with a 49pixel inner circle (ring width of 7px). Since the wingspan of the glider is 16cm, we let 16cm = 7px, hence the large diameter traced by the outer wingtip is about 1.44m (inner 1.12m), with a total surface area of about 0.64 square metres or 6434 square cm (equivalent to a 80.2cm by 80.2cm square area or a 90.5cm dia circle!) - quite large! Of course if the plane is not moving fast enough and traces out a corkscrew instead, it would not be as effective. But judging from this, the line would have been about 28.75 degrees from the horizontal, making the circle quite a large one indeed. This seems effective! Clearly there are gaps (in the glider's motion) which means my camera takes a frame and pauses before another frame is taken. I do not know the exposure time, but I do know that each frame to the next frame takes 0.06 seconds (how reliable that is I am unsure..). The plane subtends about 386 degrees in 0.42 seconds. It had a period of 0.392 seconds and circles at a frequency of 2.25Hz. Taking the centre of the glider (diameter of 1.28m), the glider is traveling 4.02m in 0.392 seconds or 9m/s, which is faster than I had expected since the glider glides freely at a much slower velocity. 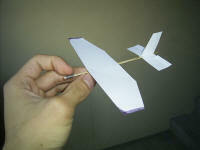 A properly constructed airfoil wing would no doubt generate a huge lift.